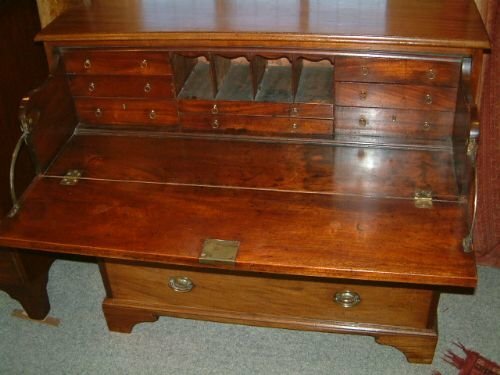 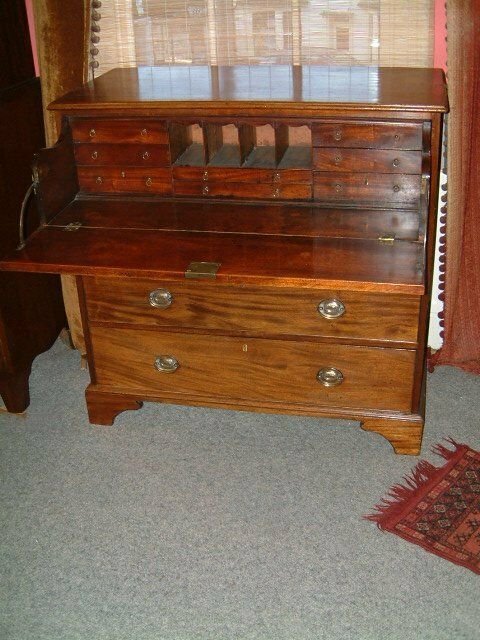 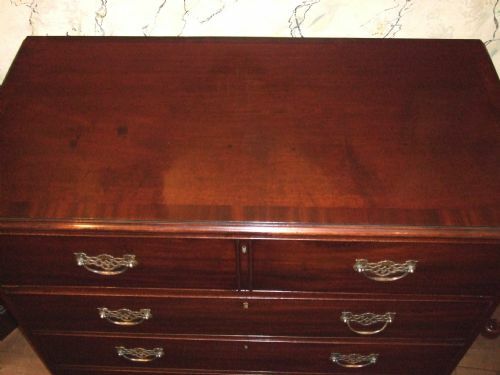 Rare George 3rd Mahogany Secretaire Linen Press with Original Linen Slides. 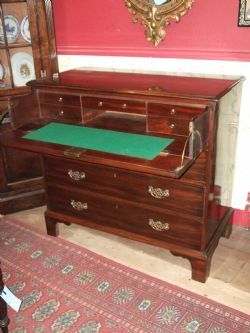 Well Fitted Secretaire with Drawers & Pigeon holes. 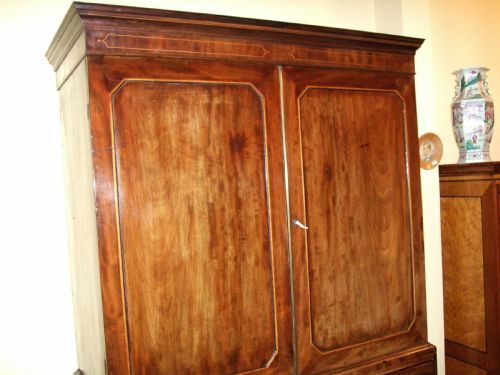 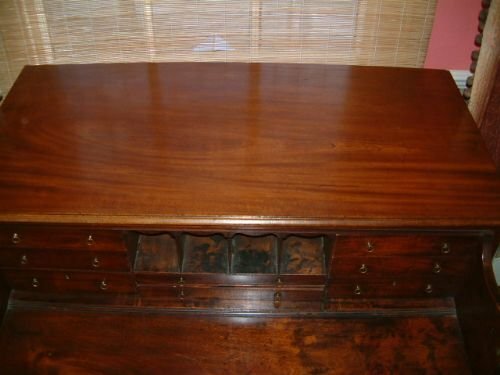 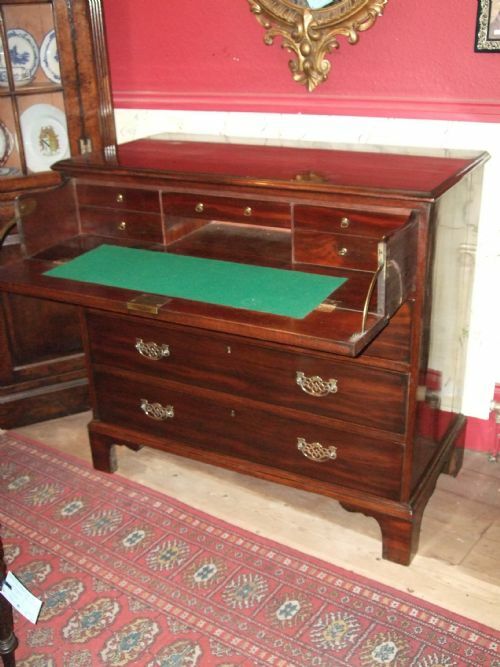 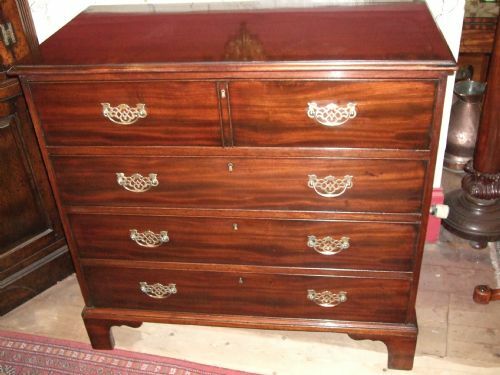 Good Choice of Mahogany with Crossbanded & Inlaid Details. 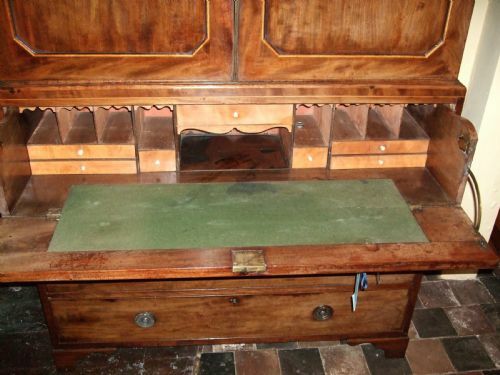 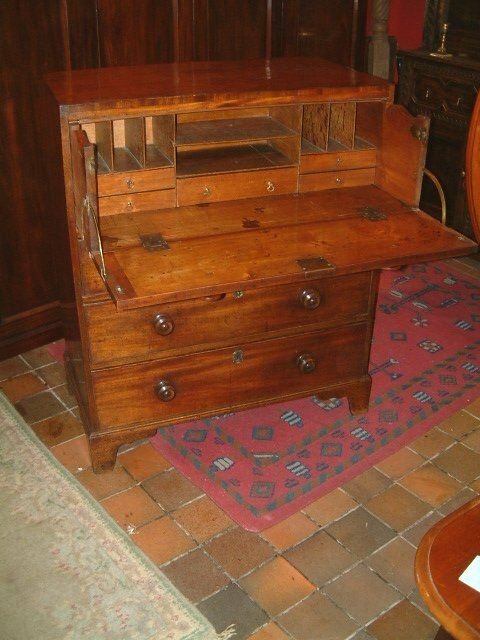 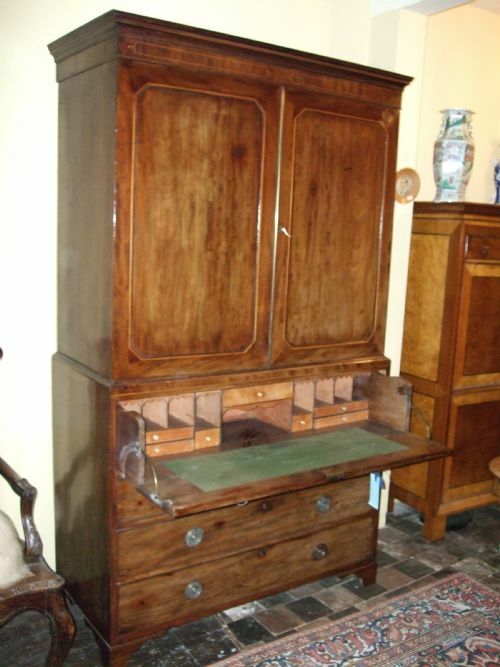 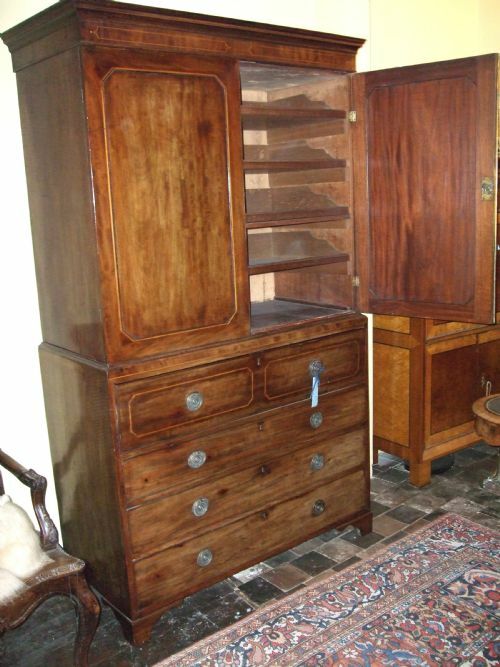 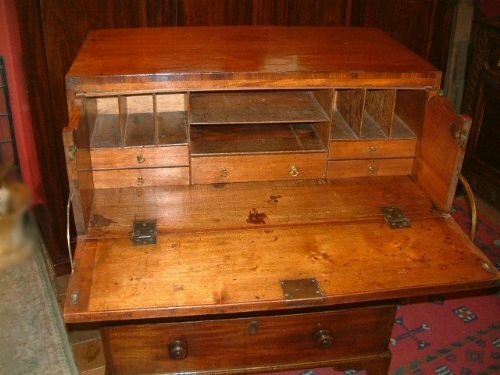 Very Unusual to Find a Secretaire within in a Linen Press. 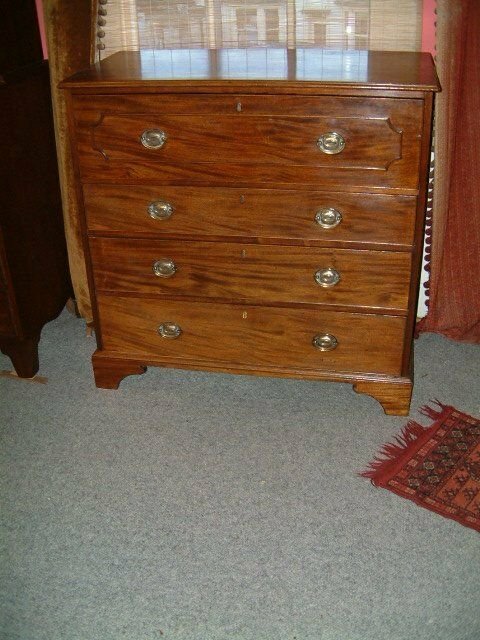 Good Colour & Patination& Figuring. 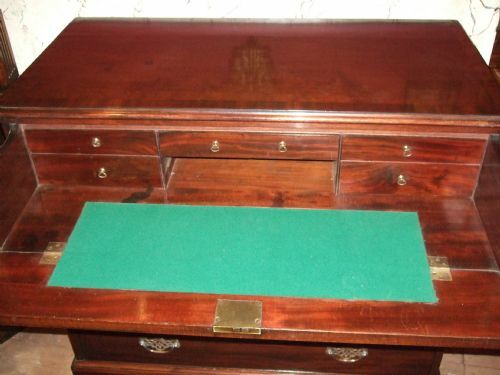 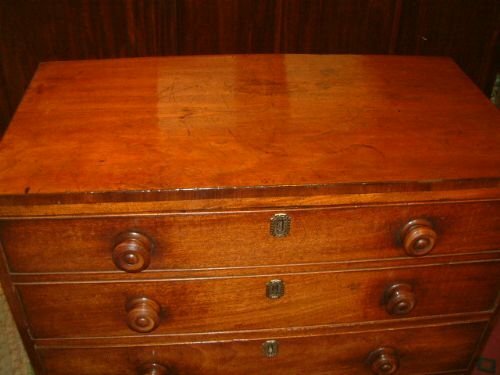 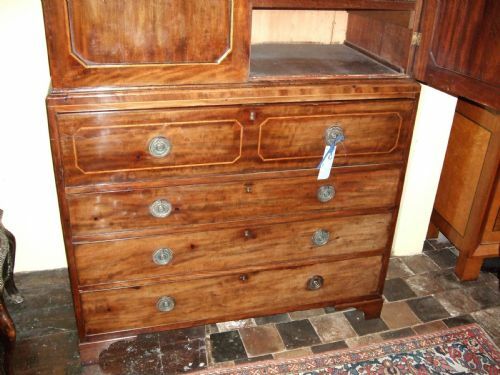 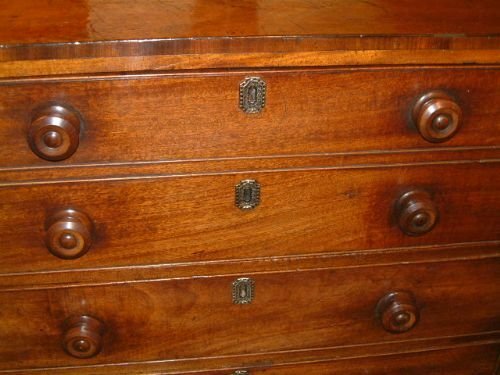 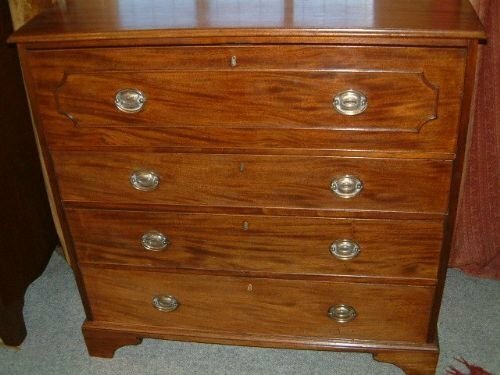 Regency Period Mahogany Secretaire Chest with Original Wooden Knobs, Good colour & Patination. 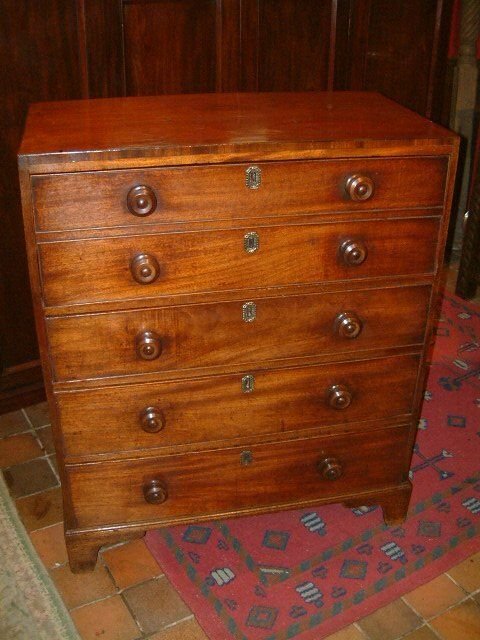 Regency Period Mahogany Secretaire Chest of Drawers, Good Colour & Patination, later brasses.